Some people ask me to help booking their trips. They ask me because usually I found cheaper flights and hotels. So the question is not if exists any flight or hotel booking site as Kayak, Trivago or the service offered by travel agencies. The question is if there is any service that given a vague description of the travel you want, find the best options. For example, if you ask for a trip "between March 2nd and 10th to a caribbean beach", they offer a touristic package to Cuba from 3rd to 10th, a flight to maldives islands in a 4* hotel, etc. The idea is that you just describe the trip you want and they give you some budget options. Just to clarify, copy&paste (and edit) a comment I made when I asked this 3 years ago: "My friends and other people I talk with don't know/like to use websites like Kayak, EasyJet Holidays or similar. For them (comming from an analogic world) travels are arranged by asking someone what they want: "I want to go to Paris next week" and don't understand that computers need to specify exactly or approximately where and when you want to go. The point is "informality", not natural language processing. I know an excellent service that has a highly informal interaction and is able to make suggestions based on vague requirements. It can ask questions to refine your requirements, and is even able to suggest modifications to those requirements if it thinks you can find a good deal. 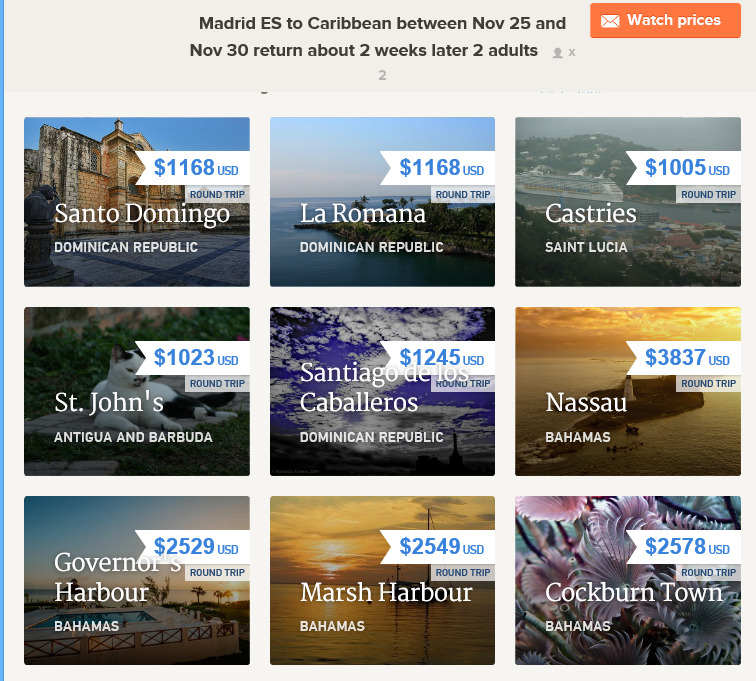 It has access to all the other websites that offer cheap travel, and can pick the best ones to show you. Interaction is through natural language processing, and it uses to make its selection highly intelligent 'neural net' algorithms, far in ahead in technology of what other recommendation engines use. The service is called a 'travel agent'. Seriously, travel agents have access to all the same cheap websites you do, and probably know them better than you. They might have access to others as well. Its obvious your friends like that way of choosing vacations, because they like interacting with you, a human being, rather than searching the web themselves. Often an agent can make savings that are much better than the small fee they charge, and if you factor in the cost of your time they are very cheap indeed. The best advice in this case for your friends would be to check the 'flights+hotel' sections of travel websites. Point is, the convenience factor of such deals is what could make them more expensive than manually putting together a holiday by booking cheapest flights and hotels separately. If you're asking for a site that does that for you - combining cheapest flights and hotels on its own - that's just not how the industry works! Kayak, for instance, routes such queries to Expedia which is essentially an online travel agent. This also depends on where you live. Check whether your region's low cost airlines have a holidays page. In Europe, there's easyJet holidays; in Asia, there's Air Asia Go...combined with cheap airfares these can provide budget options. What this boils down is a question of how much effort you want to put in into designing your holiday. If you don't want to hunt around, you end up paying a premium to travel agencies for figuring it out for you! The only thing I wasn't able to find is hotels, maybe it is hidden there somewhere I didn't spend much time on it, and bookings are forwarded to other agencies or airlines, but at least it gives you options and ideas. This summarizes the country wise usage of each site so that you can get an idea depending on the area you want to visit. However, this list mostly shows the names of various international websites in use which may show you discounts and offers in the first look, but if you try to research a bit more and find out the exact price from the service provider itself, you may get a good bet. I personally use these websites, to find the names of hotels, restaurants, tour organizers, etc and then contact them separately through their websites if available. This helps me save a lot, and I get a better idea of what I am looking for! I've found Groupon Getaways helpful for this sort of "I want to travel somewhere on a budget within these timeframes/preferences" request. 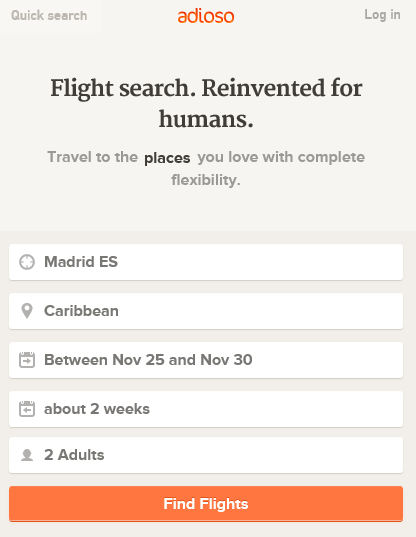 You can choose where in the world you would like to travel or what type of holiday you would like (eg "beach"), enter in your dates, and relevant options will appear. Some include flight + hotel, some only hotel. They are almost always discounted. Note that this particular site seems to be only available in the US, but it looks like Groupon generally is available in Europe, not sure if it includes the Getaways section. Not the answer you're looking for? Browse other questions tagged budget online-resources bookings internet or ask your own question. Are there any trans-Pacific budget airlines? What's the best time to get “last-minute” discount hotel prices? How do I create all-inclusive travel packages for a wedding? Is it cheaper to book a hotel online or at the desk? Could I have found this flight plan without knowing to look for it?